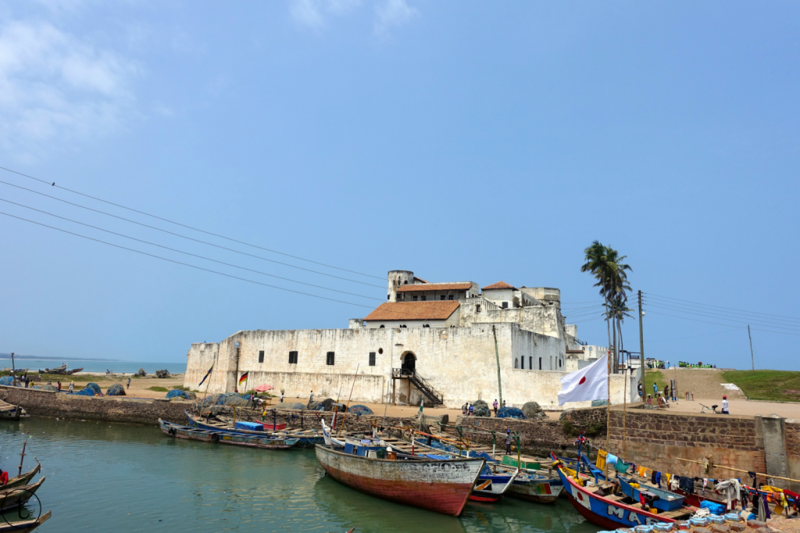 Elmina Castle: The Oldest Slave Fort In Sub-Sahara Africa? 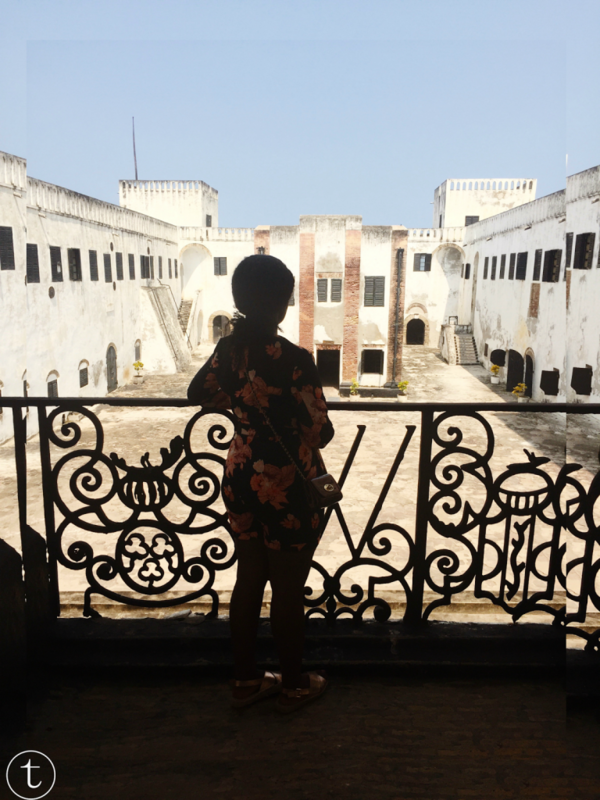 I’m going to take you to the oldest European building (fort) in Sub-Saharan Africa where slave-trade was held called Elmina Castle which also known as St.Georges (Portuguese). 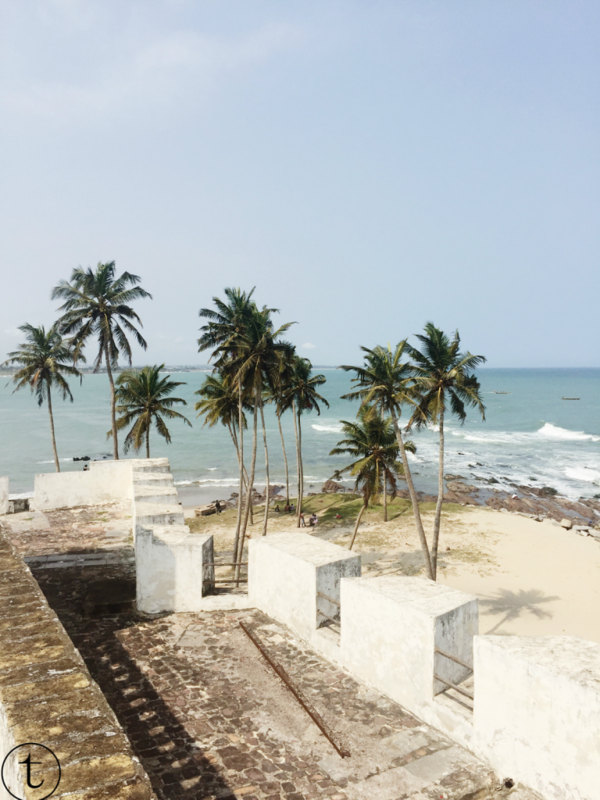 During my trip to Ghana, I was really determined to go to Elmina (a small town in Ghana) to visit the fort where slave-trade was held. I’ve always been interested in the Atlantic Slave Trade history; From how it started, the countries that were involved in the slave trade and how the slaves back then were taken from point A to B. 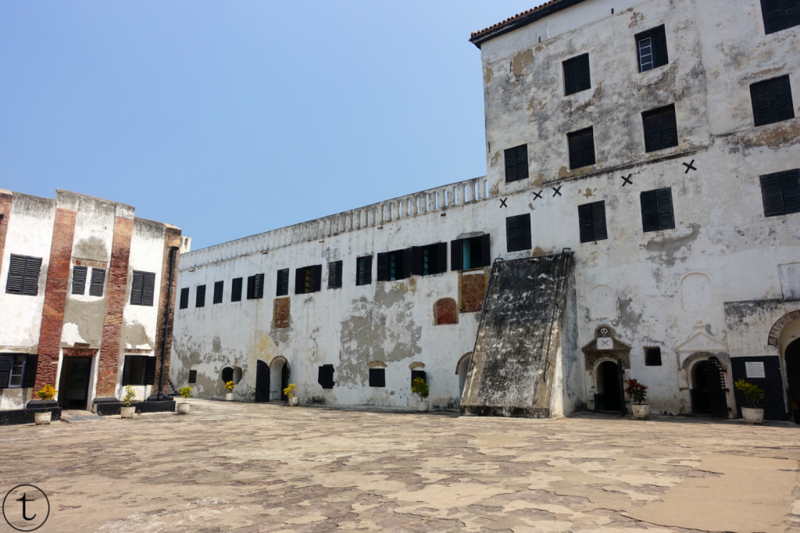 As you might know, this topic is very very broad but I’m going to take you through some events that happend in this oldest fort Elmina Castle. 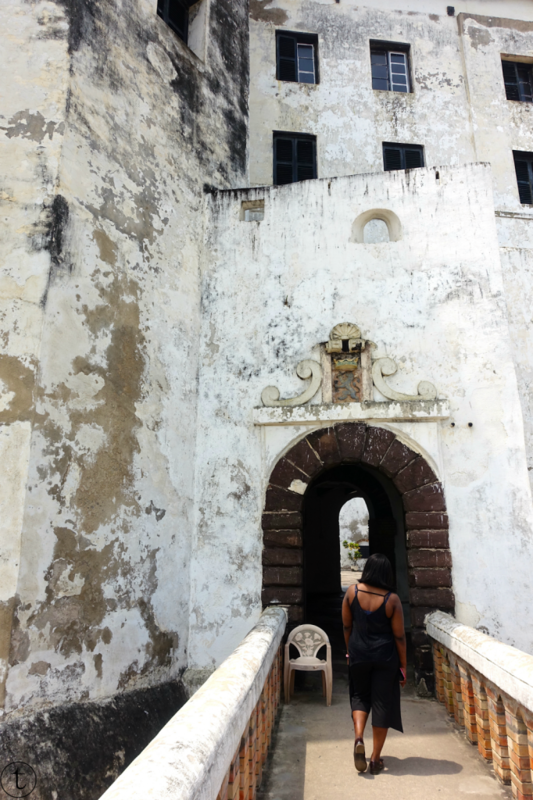 The castle is the first slave-trading post built in Sub-Saharan Africa. 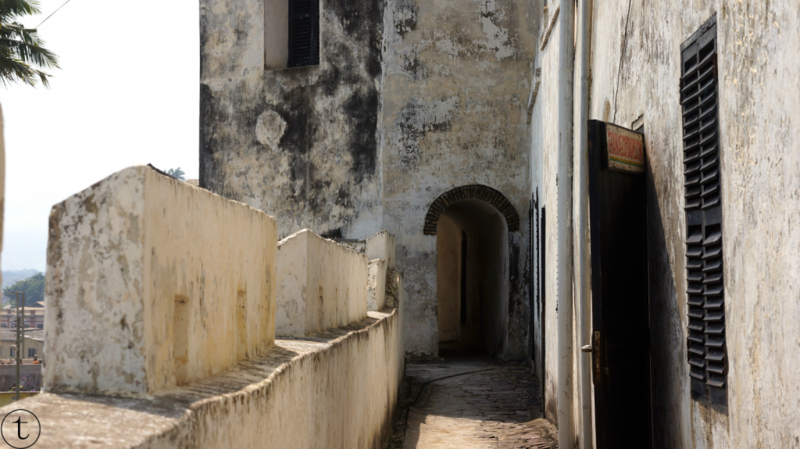 It was built between 1482 and 1786 by the Portuguese. 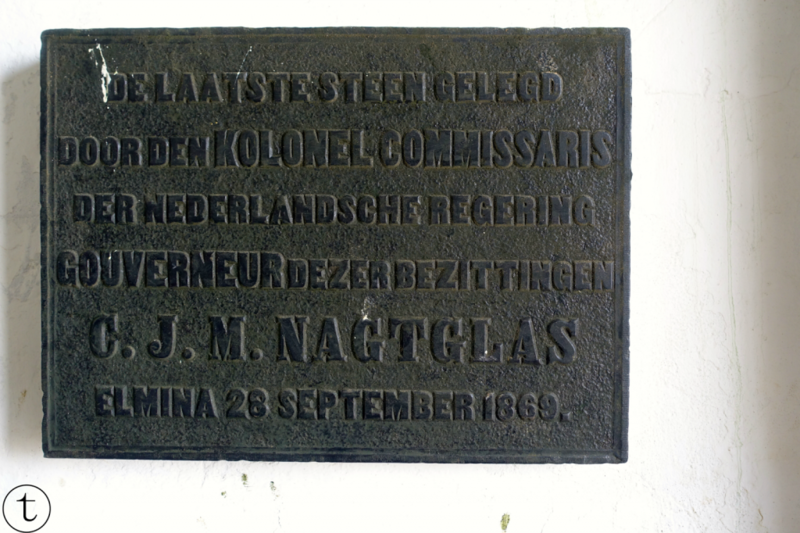 In 1637 the Dutch seized the fort from the Portuguese and served the slave trade with Brazil and the Caribbean. 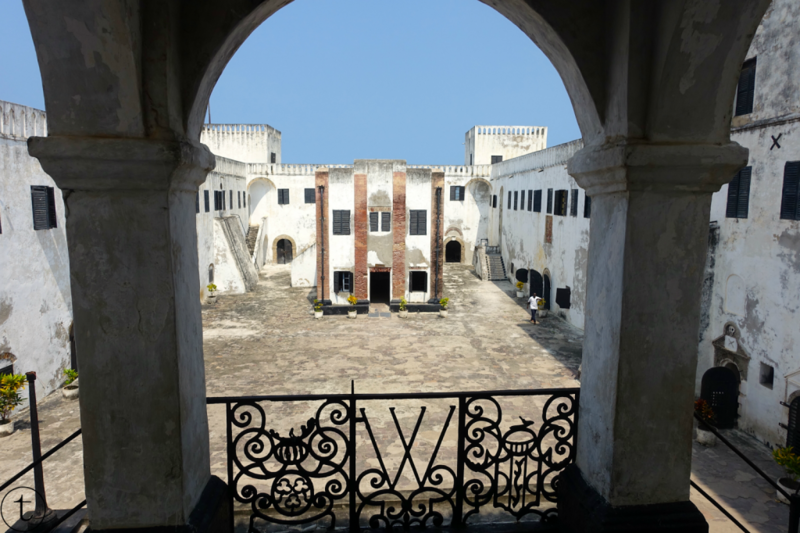 Elmina castle was in the hands of the Dutch for more than 200 years. 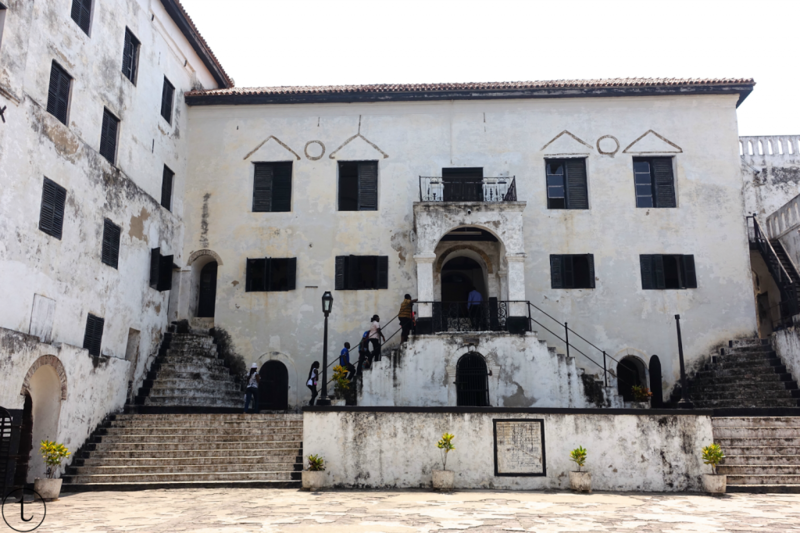 According to sources, under the rule of the Dutch, about 30.000 slaves passed through the Elmina castle. 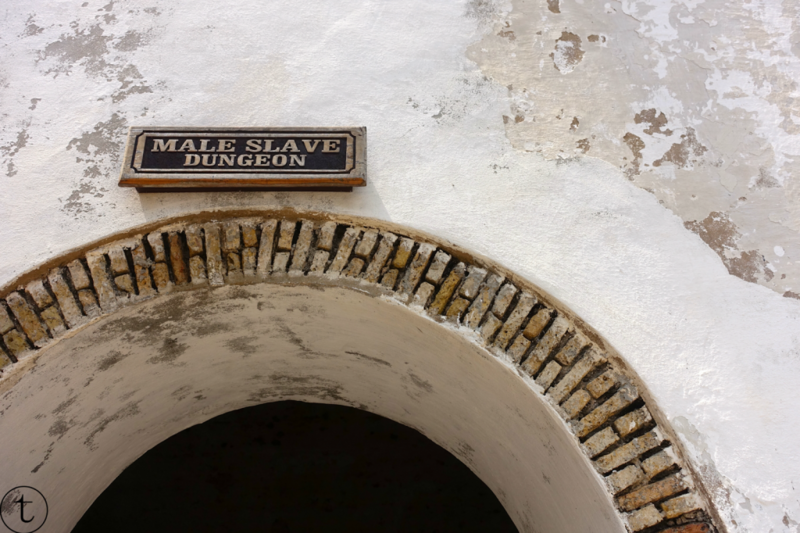 Approximately 12 million slaves were traded and sold during the Atlantic Slave Trade. 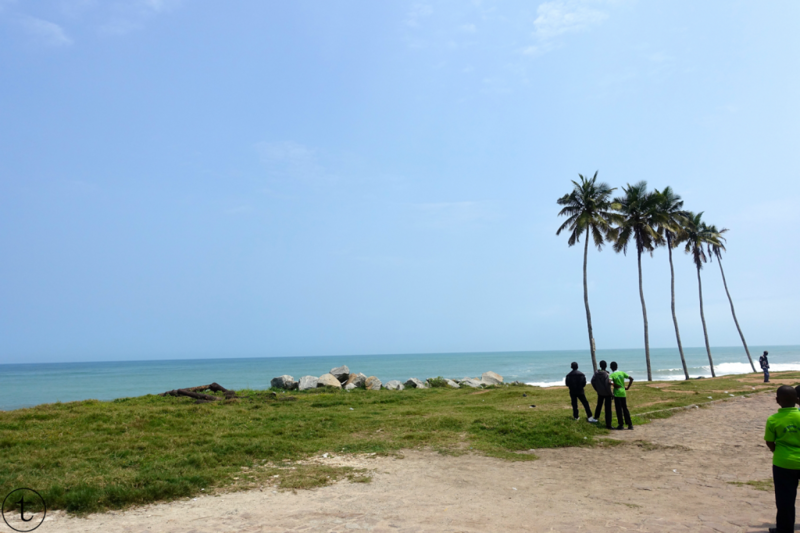 The British captured the fort when slave trade was finally abolished in 1814. We had the opportunity to walk around the castle with a guide. The castle had separate dungeons for men and women. The slaves were captured inside the dungeons where there was no light. Just a little somewhere on top of the walls. The dungeons weren’t big but the guide stated that in the dungeons, they would keep about 100 to 150 slaves in there. Everything would be done there. And if I say, everything I mean everything. There was no such thing as taking showers. Food and water was scarce. The slaves were chained and had almost to no space to lay down or sit in the dungeons where it was filthy and cramped. A lot of slaved died because of the unsanitary conditions that they had to live in. 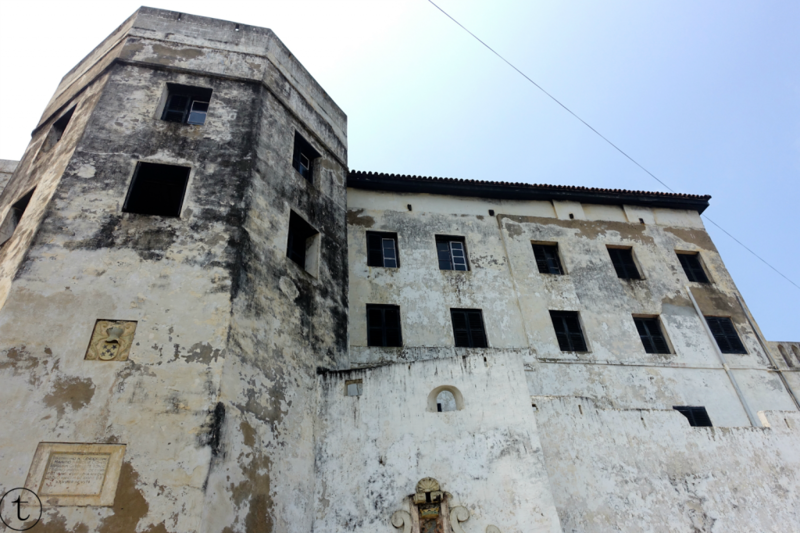 Many of them got sick because of malaria and yellow fever and other deceases that broke out in the dungeons. Many women were raped by the guards and the slaves that resisted were punished and treated in a more inhumane way than they already were in. The slaves would wait for months for the ships to arrive at the coast that would ship them to the ‘‘New World” which would be the Americas. Before the slaves would enter the ships, they would pass through a door called the ”Door Of No Return’‘ where this would be the very last time they would step their feet on African soil. You might think that this might be somewhat the end of the inhumanity the slaved endured but that is less than true. During the trip (also called the Middle Passage voyage) to the “New World” the slaves were in inhumane, unsanitary and torturing conditions. In the ships, the slaves were stacked like canned sardines due to space limitations. The journey often took months. The duration depended on the weather conditions. It’s been estimated that about 2 million slaved didn’t survive the Middle Passage voyage. When the tour ended I was emotional. To think that this happened years ago. Even though it’s centuries ago, the fact that I (standing in that picture) wouldn’t be a free woman and kept in one of those horrific dungeons where I would be waiting for a ship to take me to a whole new destination away from my land, family, culture and everything I could call home sounds absolutely surreal. We’ve come a very long way that is for sure, but we still have a lot to work on and it all starts with tolerance and treating mankind despite their color of the skin, religion, background, sexual orientation etc like human-beings. 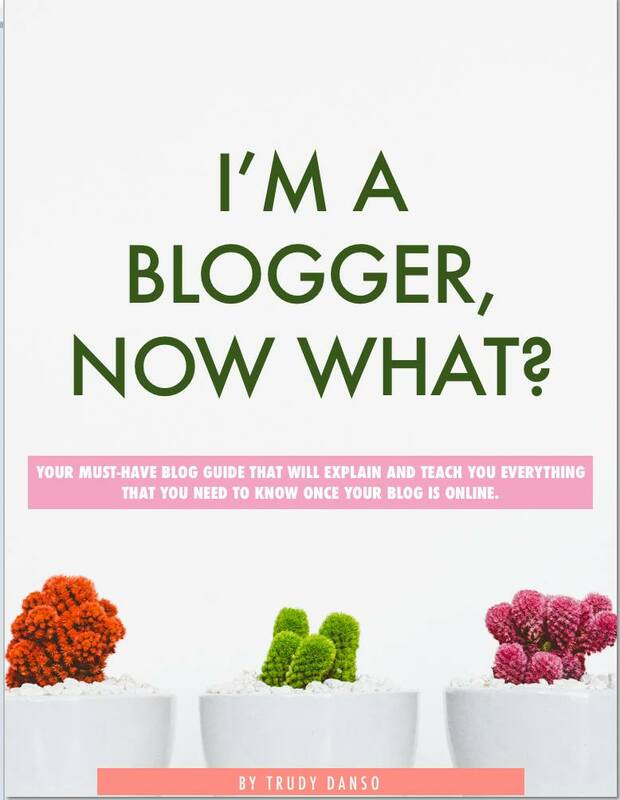 Wow Trudy, this post is so powerful. It just brought tears to my eyes reading this! How beautiful are these photos of such a horrific scene with so much history.